The reason this match is in the main slot for this review, is because I was really intrigued by Big E Langston appearance on the show. We haven't seen Langston for a fair amount of time on television after Langston lost to Dolph Ziggler in the blow off match of their feud on the 20th August edition of Smackdown, and I was half expecting for Langston to take some time off television, before returning as a face, with a couple of matches against Damien Sandow at house shows recently, pointing towards that. So I was quite surprised to see him lined up to face R-Truth here. Truth has really been struggling to hold my attention with a stale gimmick and some so-so performance. The match itself was decent enough to keep my attention and entertain me to some degree, but really lacked any proper structure or flow which let it down. Langston looked impressive when incontrol of Truth and his signature moves such as the Big Splash he did, looked very impressive. R-Truth's offense were mainly limited to strikes, but they came at such random moments, that when Truth launched into what should have been his comeback, it didn't really have much of an impact as Langston had spent to much time on top. What could have been the big spot that helped this match, was unfortunately botched, with Truth cannon-balling over the top rope on Langston on the outside and landing awkwardly on his, this was mainly down to Langston being in the wrong position and not being able to properly catch Truth, so the fault has to lie with the big man on this one. The finish saw R-Truth miss his Corkscrew Scissors Kick, allowing Langston to hit a clothesline, before pulling down the straps and hitting The Big Ending to pick up the pinfall victory. The finish was simple, but effective using both men's signature moves well, it's just a shame that what preceded it hadn't quite flowed so well. It makes sense to give Langston the win here, as he is someone WWE does seem to have some sort of plan for, even if they aren't quite sure what it is yet, but it does make Truth's victory over World Heavyweight Championship Money in the Bank holder Damien Sandow even more random and perplexing. It certainly wasn't the strongest performance I've seen from either man in a WWE ring. So, what should WWE do with Big E Langston? I've been saying this for quite some time...turn him face! Simply do replays of what Langston did in NXT, running over heels opponents, whilst asking for a five count instead of a three count. It got him over on NXT, and I'm pretty certain it would get him over on Raw. He's certainly most comfortable as a face, and is entertain enough on the mic to really get some fan support behind him. From there give the guy a run with the United States Championship with an entertaining rivalry, with any of a number of WWE's heels, and then see how it goes. As for R-Truth, I'm struggling to see what he offers WWE in 2013, although I'm beginning to wonder if they could partner him up with someone and give him a run in the tag team division, which could be an interesting move for Truth, maybe someone like NXT's Xavier Woods could work with Truth. 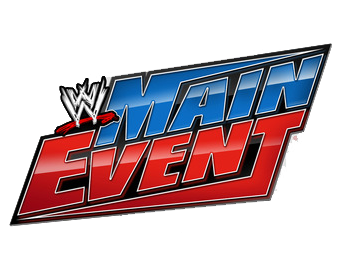 Elsewhere on the show, Kofi Kingston and The Real American's Antonio Cesaro particpated in the match of the night, and arguably the best match to ever grave and episode of Main Event. Cesaro spent much of the match in control, which is a role that suits him down to the ground, as we saw in his battles with Sami Zayn from NXT. Kingston worked well fighting underneath and the two built a good foundation of solid technical wrestling, with a few highflying moves from Kingston thrown in as well. There were also a number of exciting spots that really lifted the match and got the fans to sit up and take notice, including Kingston using the steel steps in a similar spot from this week's Raw, although the cannonball certainly looked by than the forearm strike used on Monday, and of course Cesaro's extra long Giant Swing, which would seem to be becoming a regular part of his offence going forward. The finish saw Cesaro go for a Neutralizer, with Kingston reversing in a roll up for a near fall, that saw Cesaro show off his strength once again bridging out of the pin and going for a backslide, Kingston slipped free and hit Trouble in Paradise to the pinfall victory. I thought this was a strong finish that allowed both me to continue looking good, with Cesaro bridge out of Kingston's pin being an outstanding show of strength, and Kingston's finisher happening so quickly that you could easily make a case for a rematch. It's baffling that either of these competitors has never been pushed strongly by WWE, whilst many have argued that Kingston lacks the mic skills to move past the mid card, Cesaro certainly does. There was also tag team action on the show, with Prime Time Players taking on Heath Slater & Jinder Mahal of 3MB. Darren Young & Titus O'Neil were in control for most of the match, with O'Neil's power keeping Mahal & Slater in check in the early going. The best section of the match for me was a nice series of reversal between Young and Slater, with the two former Nexus stablemates showing a familiarity, with their section flowing nicely. The finish saw Slater break up a pinfall by O'Neil, with Young and Slater going on to battle on the outside, ending with Slater sending Young crashing hard into the announce table. With O'Neil taking out Slater with a shoulder barge, Mahal attempted a roll up for a near fall, with O'Neil escaping and finishing Mahal off with Clash of the Titus for the pinfall victory. I thought the finish had some good ideas, but a lot of it didn't flow particularly well, but it was good to see The Prime Time Players back on top after last week's defeat to The Wyatt Family. 1. Big E Langston probably still isn't ready for a big push, but seeing him in more matches on television will get him ready quickly. 2. Antonio Cesaro deserves to be higher up the card in WWE. 3. The Tag Team Turmoil bout on Night of Champions could be a very interesting contest indeed.